Isn’t it nice to have a laptop with 1Tera Byte of Space! Thats approx a 1000 GB of space! Well you will be delighted to know that Samsung has started to ship its Spinpoint MT2 1 terabyte 2.5” mobile hard disk drive. It aims to market this drive as a portable storage and is also said to be put into digital TVs, laptops and Set-top boxes. 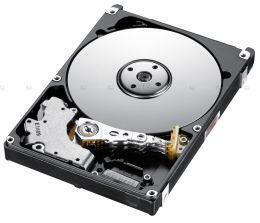 The company said that the new drive is built with a new platter technology. The MT2 has 333GB per-platter and runs at 5400 rpm. With a small form factor, the MT2 is a very quite hard drive and was a perfect fit for a set top box. The MT2’s also offer 20 percent better read/write performance than other drives. It has a 8MB buffer meory for faster access and a 3.0 Gbps SATA interface for high speed data transfer from the system to the drive. The Spinpoint MT2 is available in two flavours – 750GB and 1TB. You can get one for yourself here.